“Yo. Sorry bout that. Wanna trade for your smart-phone?” Mr. Future declared, parking his vehicle on my lawn. “Wow. My own flying car.” I breathed. “Umm…you can buy ‘em and set em…” Mr. Future replied. Then, the future shrugged, and flew away in my beautiful flying car. 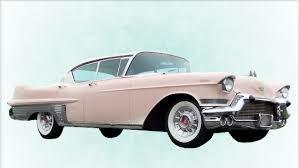 It was a pink convertible, and the guy had slicked back hair and a leather jacket. He was playing Wipe-Out by the Beach-Boys. I listened sadly as he, and my dreams, disappeared into the clouds. But just then, I got my daughters ring-tone. She wanted me to face-time Max so she could start breakfast. And my son texted that he and the boys were just leaving their house, and could we give him a coffee while he dropped off the boys? I quickly used “Find Friends” to figure out whether my husband, who was on a walk, was close enough to the house to save me from my grandson’s before they arrived. I sighed again about the flying car. My dreams were crushed. But, then I realized that I should show gratitude for what the future had brung. I gripped that phone tight to my ear, and whispered a solemn vow into its mouthpiece.